Peter Paggi, Director of Housing Development, joined Windham & Windsor Housing Trust in 2016. 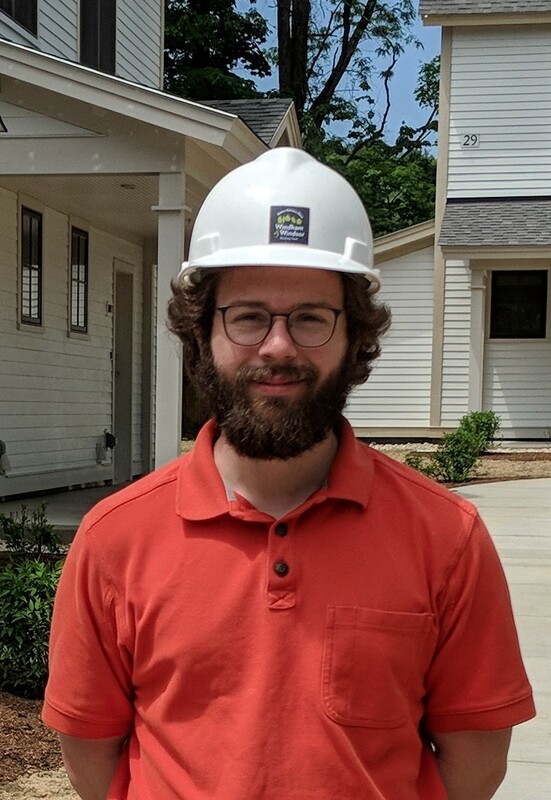 A trained engineer, he is responsible for overseeing all WWHT housing development initiatives, from funding and design, through construction completion. He is interested in tying in energy efficiency and sustainable building design to Windham & Windsor Housing Trust’s mission of strengthening the communities of Southeast Vermont through the development and stewardship of permanently affordable housing and through ongoing support and advocacy for its residents. In the summer of 2017, Windham & Windsor Housing Trust purchased the dilapidated Lamplighter Motel in the hopes of turning it into Brattleboro’s first permanent supportive housing development. Over the past year, this property has been rebuilt as Great River Terrace, a 22-micro-apartment development designed to Efficiency Vermont’s High Performance Building Standard, that will serve formerly homeless individuals with safe, decent, and affordable housing.